The Video Plankton Recorder (VPR) project aims to determine the relative contribution of various changing environmental conditions (temperature, nutrients, pH) and pollutants on the (high-resolution) spatio-temporal dynamics of abundance and diversity of zooplankton in the Belgian part of the North Sea (BPNS). Global climate change is causing a distributional shift of marine fish and invertebrate species and is reducing biodiversity, which is further exacerbated by ocean acidification. Mitigation options are limited: resilience needs to be improved by reducing other stressors such as pollution and eutrophication, and the water quality needs to be enhanced. In order to do so, we need to improve our understanding of (combined and interacting) factors influencing all aspects of biodiversity (genetic, species, functional). In the framework of LifeWatch, a Video Plankton Recorder (VPR) was put into service. The general aim of the VPR project is to determine the relative contribution of various changing environmental conditions (temperature, nutrients, pH) and pollutants on the (high-resolution) spatio-temporal dynamics of abundance and diversity of zooplankton in the Belgian part of the North Sea (BPNS). The VPR was developed at Woods Hole Oceanographic Institution (WHOI). The VPR frame is equipped with a real-time high resolution underwater digital camera system (Digital CCD camera; 1,5 Mpixel monochrome; 30 Hz) and strobe (20 W; 30 Hz; 3 µs). Image acquisition is 25 frames/second, while the volume of sampled water can be selected with different settings. Four settings can be used, ranging from small but highly detailed frames (8.8*6.6 mm) to very large and less detailed frames (46.5*34.5 mm). Exact volumes of water can be calculated with a calibration of tow speed and frame. The VPR is able to rapidly quantify the taxonomic composition and abundance of plankton and seston with a minimum size of 100 µm. 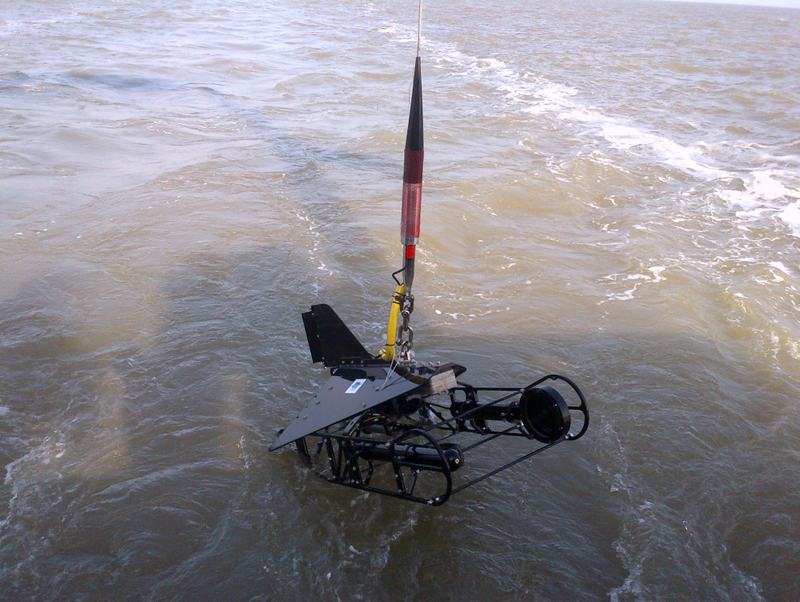 Furthermore, also a Seabird Inc. FastCat CTD (conductivity-temperature-depth sensor) and a turbidity sensor are mounted to the VPR frame. During measurements, the VPR is towed behind the RV Simon Stevin through the stern A-frame, on a dedicated winch and at a speed of 4-5 knots. The device is built to take real-time images of zooplankton and particulate matter, and transfer these to the deck unit through a 300 m single mode optic cable. On this deck unit, Regions Of Interest (ROI) are extracted from original photos. After logging of these ROIs, a software set, Visual Plankton (image recognition software – Matlab), will count and identify all ROIs. These data are linked with several abiotic factors, e.g. Temperature, Turbidity and Conductivity, which are logged by a CTD mounted on the VPR. As a result, monitoring several zooplanktonic abundances in real-time is enabled. Due to the fast processing, easily degrading taxa like gelatinous plankton are optimally monitored. The VPR is key in a PhD study designed in cooperation with the Environmental Toxicology Unit at the Laboratory of Environmental Toxicology and Aquatic Ecology of Ghent University (GhEnToxLab): Understanding and predicting spatio-temporal, structural and functional biodiversity dynamics of zooplankton in Belgian coastal waters under climate, nutrient and pollutant stress. The PhD study, which started in October 2014, consists of several steps: Step 1: Calibration and optimization of the VPR; Step 2: High-resolution monitoring of the zooplankton community along pollution-gradient transects in the Belgian Part of the North Sea, using the VPR; Step 3: Mechanistic population and ecosystem models to generate hypotheses about relative contribution of environmental factors to eco-dynamics from monitoring data; Step 4: Experimental validation of these hypotheses in multi-factorial lab experiments (likely with copepods). Besides this PhD study, the VPR is used during the seasonal LifeWatch sampling campaigns. Compilation of Video Plankton Recorder images obtained during several LifeWatch sampling campaigns. 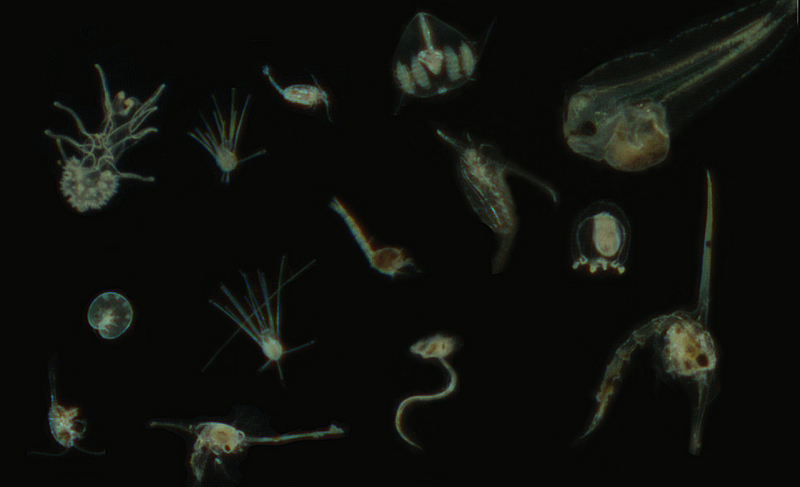 From upper left to bottom right: Branchiolaria (Asteroidea larva), Echinopluteus (Echinoidea larva), Acartia (Centropages); jellyfish, sole larva; Noctiluca, Echinopluteus, Cumacea, Calanoidea (Calanus helgolandicus), jellyfish, Porcellinidae larva, Calanoidea (Temora longicornis), Porcellinidae larva, Appendicularia: Oikopleura dioica (©Jonas Mortelmans).